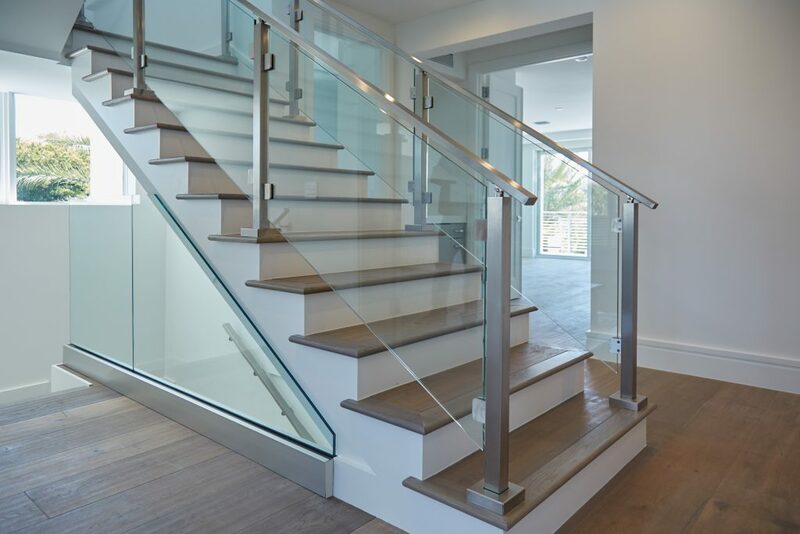 With clean, modern lines and innovative Tilt Lock technology, the Glass Base Rail System elevates your style and makes it simple to align glass during installation. This system is available at lengths in 6” intervals from 2’ to 14’ 6”, and works well with both ½” and 9/16” thick glass (sold separately). 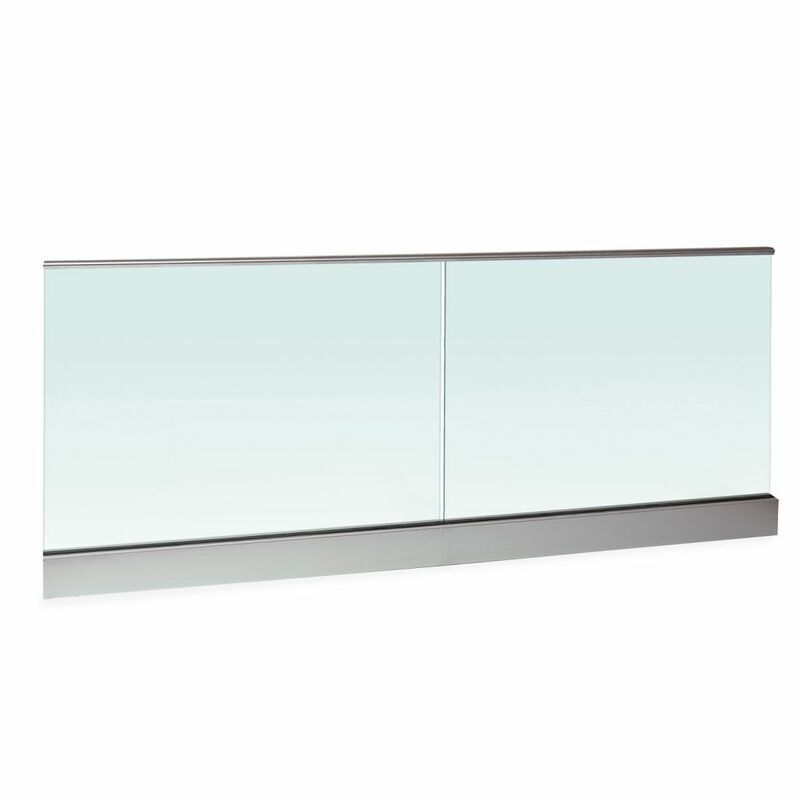 For a chic, fresh vision—choose the Glass Base Rail System. Perfecting the alignment of your glass panels can be a big headache. Even after installation, high winds can ruin the positioning – or worse, shatter the panels. The Tilt Lock Technology found in the Side Mount Talon Clips gently grips the glass during installation. Adjust the panels until they are precisely positioned, then lock down the clips, securing the glass in place. This revolutionary technology also helps relieve the trouble caused by high winds. Tilt Lock Technology allows the glass panels to flex ever so slightly, maintaining panel alignment and reducing the risk of shattered glass. Even if weather causes the system to shift around, re-aligning the disrupted glass panels is a breeze. Installing glass can be tricky. Keep the process simple with Tilt Lock Technology. can the glass base rail system be used on a staircase as well as in a level orientation? The glass base rail system is a great solution for angled applications, and can be cut & mitered to accept corners and transitions! If you need design assistance, give us a call at 1 (866) 226-6536 and we’ll get you in touch with one of our stair & railing experts. Can this product be side mounted (facia mount)? 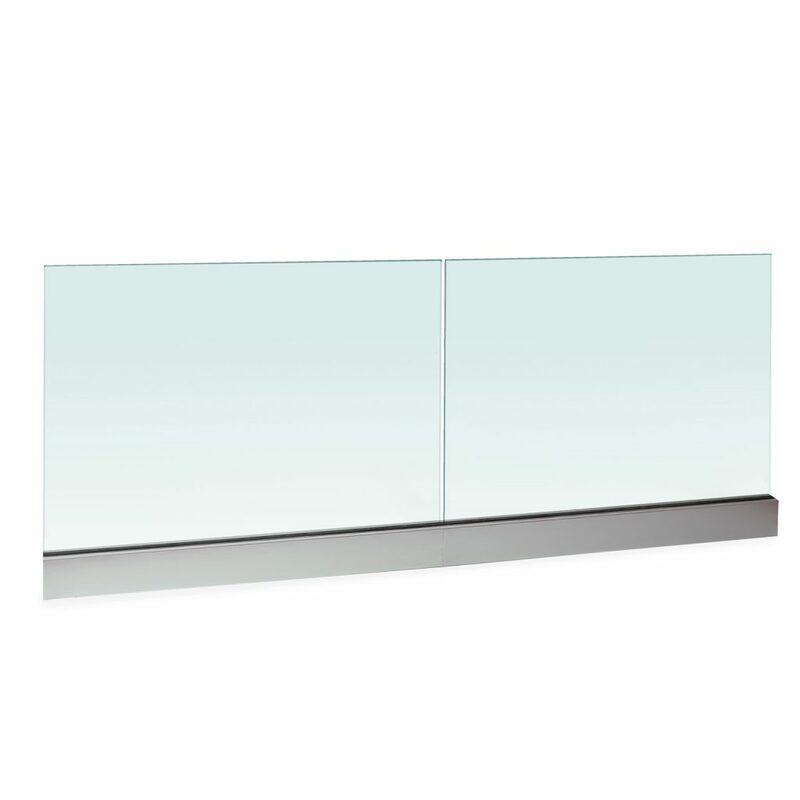 We are currently working on a fascia mount equivalent to this surface mounted Glass Base Rail system. For more information, please give one of our glass experts a call at 1 (866) 226-6536. Is the fascia mounted equivalent available yet? Yes, we have side-mount posts for glass. You can find several options at https://www.stairsupplies.com/product-category/glass-railing/glass-railing-posts/. Is this system for interior railing application only, or could I use this railing system for a balcony? Do you have a construction detail of how to attach the base/Rail to the floor? Do I need to use screws, now many crews per LF? This system makes a terrific exterior solution. We would recommend you give our team a call at 1 (866) 226-6536 so that we can get you with our glass railing specialists who can provide any details or resources you may need for this product. Can someone install this railing themselves for interior? Thanks for the question Judah. This is definitely a project a DIYer can handle, although you may want to have a second person help you handle the glass panels. For decks over living spaces, what process of install was recommended to waterproof the penetrations from adhering the base into the deck? For a situation like that we would highly recommend using side-mount posts. What is the height and depth of this rail? Thanks for the question Pam. I just measured a sample we have here in the office and it was 3 1/16″ deep and 4 1/4″ high.